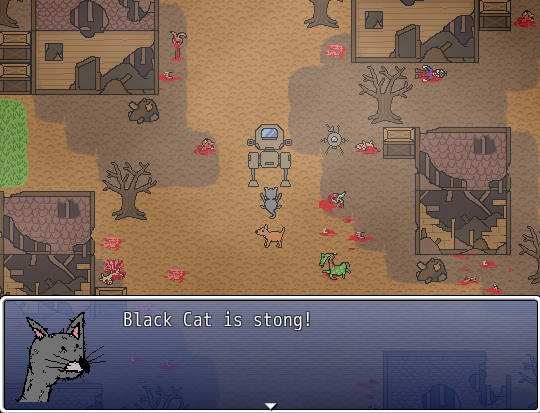 Black Cat and Brown Dog reach the nearby town, however it would seem Ruffus has reached it before them! 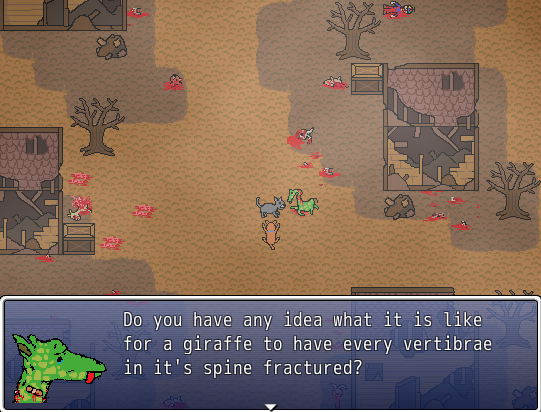 The only life that remains is green giraffe, who has been left in crippling despair. Before departing onward, Black Cat and Brown Dog encounter some robotic scouts of Ruffus!